Cut pineapple in half lengthwise. Slice into 1/2 inch triangle slices. On a large platter, sprinkle sugar all over tho coat. 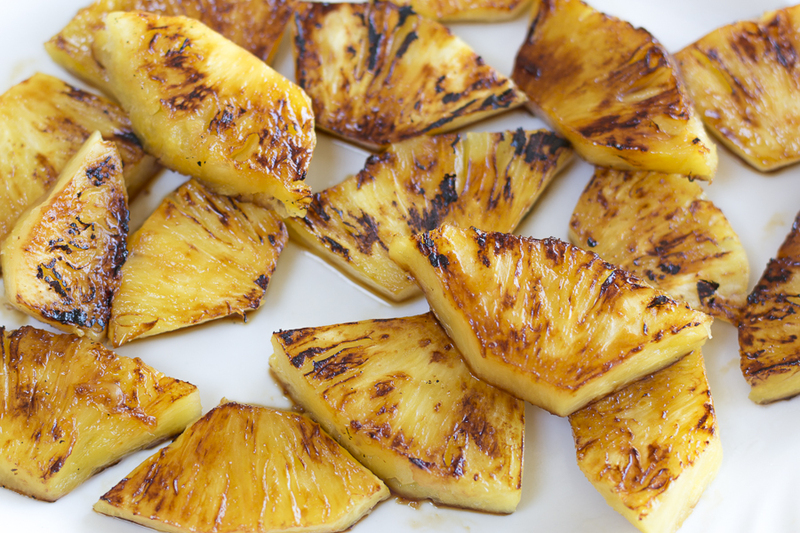 Add a single layer of pineapple pieces, then turn over with a fork to coat on both sides. Heat a cast iron skillet or La Plancha to medium-high heat. When hot, brush with 1/2 teaspoon oil, may need a drop more if not pre-seasoned. Add pineapple pieces in a single layer. DO NOT move – let get very golden underneath. Peak using tongs, turn over when very golden. Cook second side until very golden. Remove the pineapple pieces to a large cutting board. Cut into small chunks, add to a medium sized bowl. While still a little warm – add the remaining ingredients. Add the ground chiles if you like a little spicier. Store in an airtight glass container and refrigerate. Best served cool. Garnish with fresh herbs if you desire; basil, cilantro, chives or parsley – chopped or sliced. 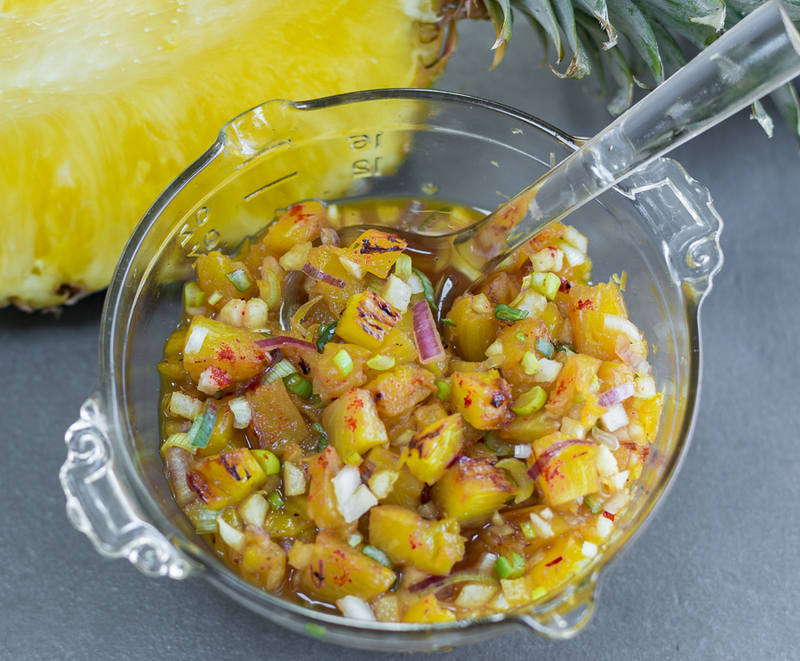 A great salsa to top grilled chicken, fish or vegan proteins.